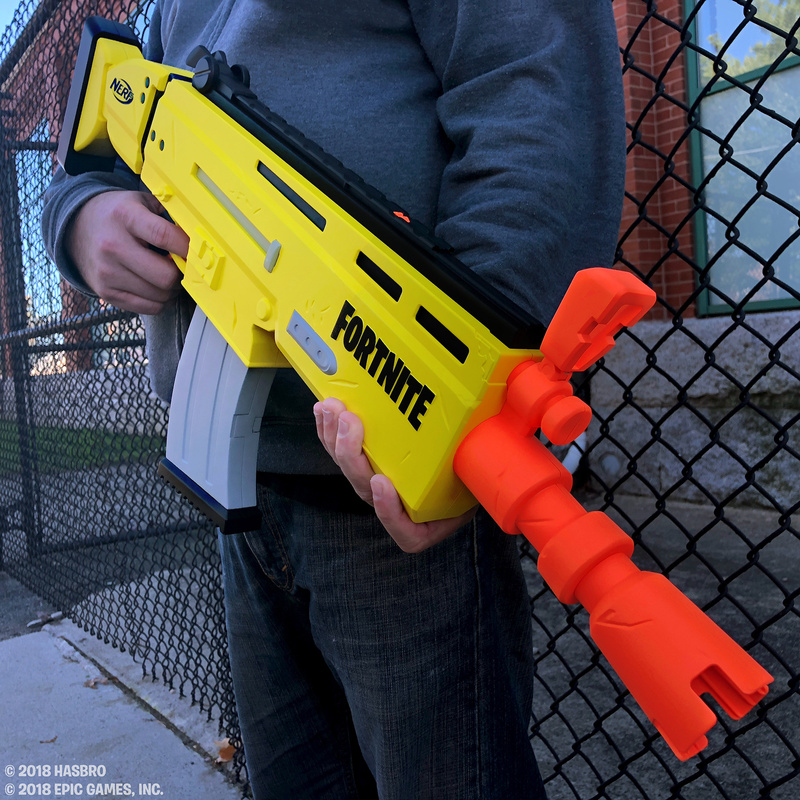 In September, we found out that the largest toy maker in the world Hasbro was teaming up with Epic Games to release a Fortnite Nerf Blaster - allowing kids and adults alike to recreate their favourite moments from the insanely popular battle royale game. The blaster has a 10-dart clip, a motorised rapid-fire setting and flip-up sights to ensure you're the last player standing on the battlefield. Each one also comes with 20 elite darts and is powered by four AA batteries. If you happen to be attending TwitchCon this weekend, you'll be able to check out the AR-L Blaster in-person. 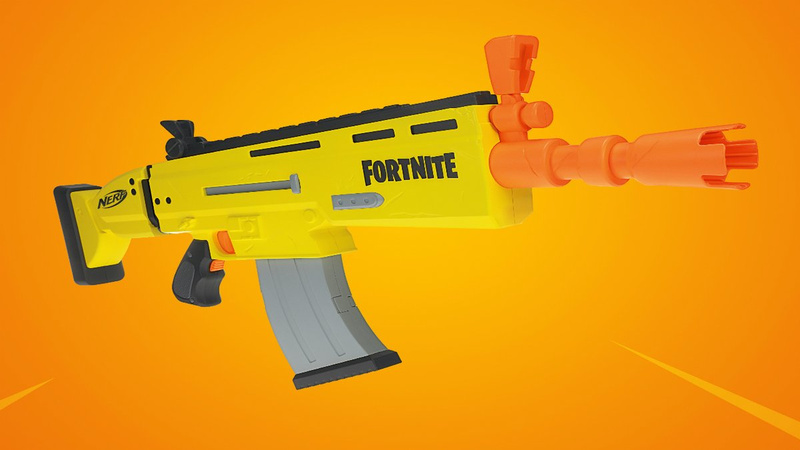 Hasbro won't be stopping with just this one - with plans to reveal the full Nerf Fortnite line before the holiday season. If you're not a fan of these types of toys, perhaps a game of Fortnite-themed Monopoly with your friends and family would be more suitable? 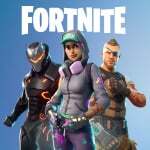 Have you been enjoying Fortnite's sixth season on Switch over the last few weeks? Tell us below. For the first time in Nerf's history, it's nothin! @TF-Warrior Thank you for your contributions to my day. How many children are y’all willing to bet will unwrap at least two guns from this lineup on Christmas morning? This doesn't release till June 1st that's after Christmas. inb4 Fortnite becomes a real life sport as a nerf or paintball variant and aired on sports TV. @Reigestugatensho Or before... depending on your point of view. Where was this kind of story for the official Splatoon water guns that invaded stores this past summer? Early in development it was a little too powerful, so it got Nerfed. shameless cash grab. kids- and adults- are stupid. I'm sure this will sell. Splatoon guns are unique designs that look very different from most other toys on the market except Splattershot that looks like the original Larami Super Soaker more or less. Fortnite guns are....just generic guns, and this look like a generic Nerf gun that says Fortnite on the front. Any kid that wants one for Chrsitmas let me know and send $100 in advance. My inkjet is ready. "Clip", no that is a magazine. @NEStalgia and the Splatershot pro looks like a supersoaker 1000. How are those Splatoon paint guns? @aznable When someone enjoys something you dont, why does it have to be stupid? I am no big fan of Fortnite, but I do like how this gun looks. Why do people feel the need to trash stuff others enjoy? I'm trashing a boring design made saleable by adding the name Fortnite to it. Their side strike blaster is interesting, aesthetically. This is just vanilla. Why do people feel the need to reply to comments from total strangers? Neither of our minds are changed. Hasn't this been fun. That looks awesome. Nerf guns are great fun, so is fortnite, y'all need to chill with the hate.